You'll discover tucked-away gems like Le Morne Brabant and Black River Gorges National Park. There's lots more to do: see the interesting displays at Curious Corner of Chamarel, kick back and relax at Le Morne Beach, make a trip to Crystal Rock, and explore the striking landscape at Seven Colored Earths. 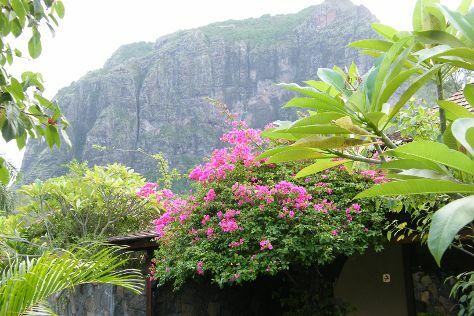 For ratings, where to stay, other places to visit, and tourist information, read our Le Morne trip planner . Mumbai, India to Le Morne is an approximately 11-hour flight. The time zone difference moving from India Standard Time to Mauritius Time is minus 1 hour. Plan for slightly colder temperatures traveling from Mumbai in July, with highs in Le Morne at 28°C and lows at 22°C. Wrap up your sightseeing on the 4th (Thu) to allow time to drive to Grand Baie. 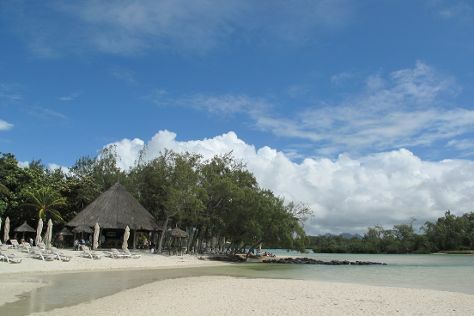 Eschew the tourist crowds and head to Notre Dame Auxiliatrice and Mont Choisy Beach. When in Grand Baie, make a side trip to see Scuba & Snorkeling in Flic En Flac, approximately 1h 10 min away. There's still lots to do: take in nature's colorful creations at SSR Botanic Garden, enjoy the sand and surf at Ile aux Cerfs, see the interesting displays at Chateau De Labourdonnais, and tour the pleasant surroundings at Plage de Trou aux Biches. To see other places to visit, where to stay, ratings, and more tourist information, you can read our Grand Baie road trip website . You can drive from Le Morne to Grand Baie in 1.5 hours. In July, daytime highs in Grand Baie are 28°C, while nighttime lows are 22°C. On the 7th (Sun), wrap the sightseeing up by early afternoon so you can travel back home.